Great for use as a standard PAR with the additional eye candy of pixel mapping effects, the Chauvet DJ PiXPar 24 is a must-have fixture for mobile DJs or club installers looking for high-impact visuals on a budget. 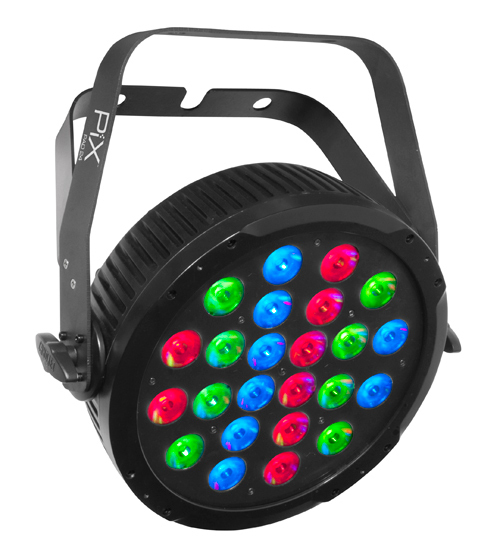 This pixel mapping PAR can-style wash light is powered by 24 tri-colored LEDs for an intense output of bold effects. Individually controllable tri-colored LEDs project custom effects and create a saturated, seamless wash. Built-in programs and multiple DMX personalities increase design flexibility while on-board 3- and 5-pin DMX connectors increase control options.